Thank you to LTD reader/voter Grant Rafter, who passed along a sweet site called Awesome People Hanging Out Together. Behold a cascade of photos and videos of legends chilling out. Since the site is fueled by user submissions, I feel no compunction about re-posting some of my favorite music related ones here, as we rev up for the start of the People’s Choice Tournament. 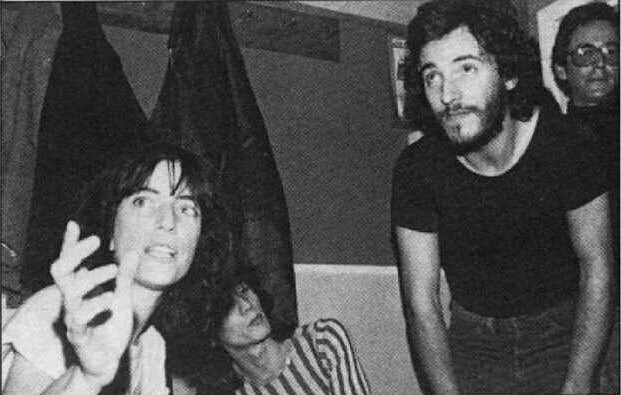 On top we’ve got a young Patti Smith and Bruce Springsteen. The pair would team up to write “Because The Night” together, which would become a live staple for both. 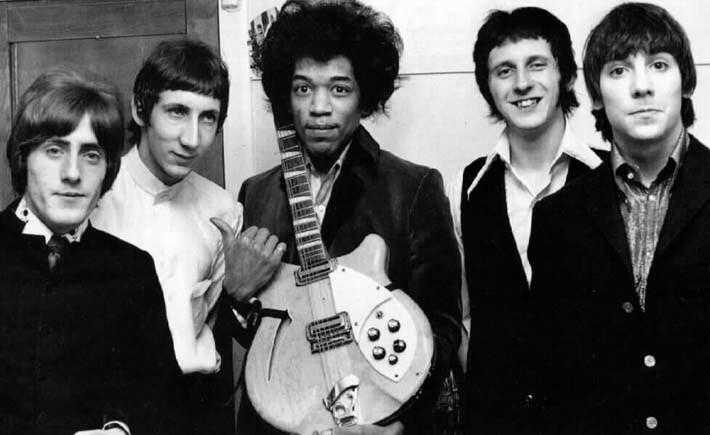 Second we’ve got Jimi and the Who. I don’t know if they had a subsequent jam session, but it would have been explosive. Finally, a serious looking trio: Michael Jackson, Francis Ford Coppola and George Lucas. It’s well established that celebrities with little in common gravitate towards each other. As the biggest musician of the 80s, MJ’s opportunities to rub shoulders with greatness were limitless. I do wonder, however, what the heck he talked about. From what I’ve read, he was reclusive and weird from a young age, long before scandal hit. This entry was posted in Hanging out, Music, Sweet websites and tagged Awesome People Hanging Out Together, Bruce Springsteen, Francis Ford Coppola, George Lucas, Grant Rafter, Jimi Hendrix, Living the Dream, Michael Jackson, Patti Smith, The Who. Bookmark the permalink.